Before the beginning there was nothing – no earth, no heavens, no stars, no sky: only the mist world, formless and shapeless, and the fire world, always burning. From the dawn of the world to the twilight of the gods, this is a dazzling retelling of the great Norse myths from the award-winning, bestselling Neil Gaiman. 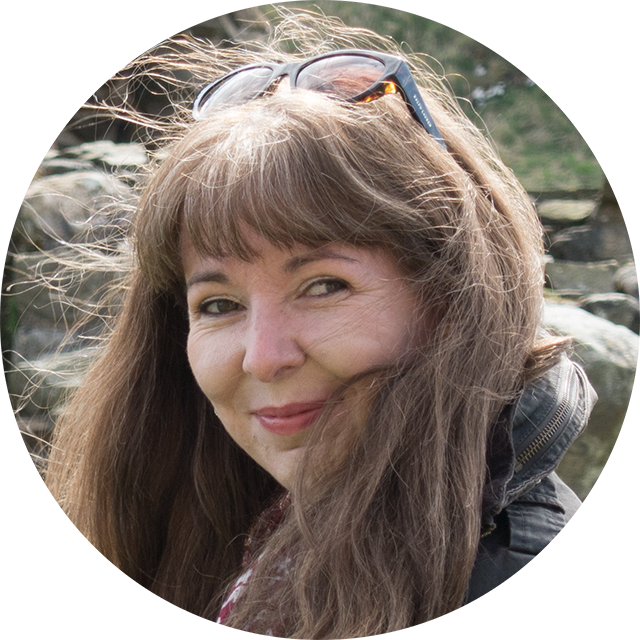 From the Amazon Product Page: The great Norse myths are woven into the fabric of our storytelling – from Tolkien, Alan Garner and Rosemary Sutcliff to Game of Thrones and Marvel Comics. They are also an inspiration for Neil Gaiman’s own award-bedecked, bestselling fiction. Now he reaches back through time to the original source stories in a thrilling and vivid rendition of the great Norse tales. Gaiman’s gods are thoroughly alive on the page – irascible, visceral, playful, passionate – and the tales carry us from the beginning of everything to Ragnarok and the twilight of the gods. Galvanised by Gaiman’s prose, Thor, Loki, Odin and Freya are irresistible forces for modern readers and the crackling, brilliant writing demands to be read aloud around an open fire on a freezing, starlit night. My first encounter with Asgard and its inhabitants was as a small boy, no more than seven, reading the adventures of the Mighty Thor as depicted by American comic artist Jack Kirby, in stories plotted by Kirby and Stan Lee and dialogued by Stan Lee’s brother, Larry Lieber. It was from his love of comic books and reading other stories like Myths of the Norsemen by Roger Lancelyn Green that sparked Neil’s interest in mythology and would inspire many of his later works of fiction including,The Sandman and American Gods, the latter of which was recently adapted into a TV series. After recently reading all 736 pages of American Gods – which, if you haven’t read yet, is disturbingly gritty and weirdly good – I was intrigued and more than a little excited as to how he would approach these classic and much-loved Norse tales. The book comprises of fifteen short stories drawn from the 13th century Icelandic Prose and Poetic Edda sagas, originally written by Snorri Sturluson. Personally, I had hoped Neil’s version would bring a new dish or two to the mythological table, but in all fairness, you can only work with what you are given. Sadly, very little of the original Norse myths exist. Like other ancient folktales, many of these untold stories and poems were either destroyed or simply became lost in the mists of time. 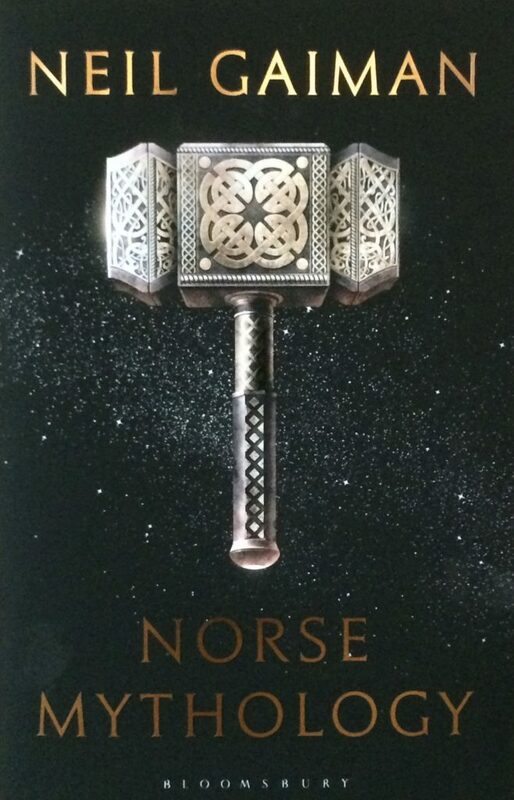 However, unlike some of the older and more academic translations of the Norse myths (some of which can be hard to digest), the narrative in this retelling is simple and straightforward, making it more accessible to a broader audience. What this modern version lacks in depth and originality, it more than makes up for in the fresh and unpretentious way it is told. The collection of stories follow the adventures and misfortunes of the Asgard gods from their frozen origins to their fateful destination at Ragnarok – the end and rebirth of all things. Whether this portends an ill-fated future or an apocalyptic event from the past, it’s probably best not to ponder too heavily. Though it certainly makes for a gripping ending. That is how the world will end, in ash and flood, in darkness and in ice. That is the final destiny of the gods. Odin the All-Father, Thor the Thunderer and Loki the Sly One, of course, lie at the heart of many of these absurd, violent and tragic stories, but we are also introduced to some lesser known gods such as Tyr, the one-handed god of war, Balder’s brother blind Hod, Njord, god of the wind and sea, as well as some significant enemies in form of cunning dwarves and shape-shifting giants, who frequently find themselves on the wrong side of Thor’s mighty hammer. Neil also breathes new life into the creation story of the world-tree Yggdrasil, inhabited by the malevolent squirrel Ratatoskr who runs up and down the great ash, spreading gossip between the dragon Nidhogg, who gnaws on its roots, and the unnamed eagle sitting at the top of its branches. From the origin of Jormungundr the Midgard serpent to the fate of Fenrir the wolf, readers are taken on an enthralling journey through the Nine worlds, courtesy of Neil’s engaging and humorous voice. Some of the stories, such how a giant was unfairly tricked into building Asgard’s wall, Thor’s drinking contest and why the handle of his mighty hammer Mjollnir is on the short side are both entertaining and cruel. Others, like The Death of Balder and The Last Days of Loki, leave a more profound impression. Neil’s astute and somewhat comedic depiction of the Norse Gods gave me a fair few chuckles throughout, though you don’t have to scratch too far beneath the skin of these supreme beings to glimpse something darker, uglier and inherently human. Apart from Balder the Beautiful and Kvasir the Wise, (whose innocence sadly brought about their untimely demise) the rest of the gods are characterised as arrogant, petty, vengeful beings, prone to envy and quick to anger, especially Thor who seems to thrive on smashing giants’ skulls. And while it hardly seems conceivable that Odin, who gave his eye for wisdom, is taken in more than once by Loki’s scheming, it’s exactly those relatable human flaws that make these stories so immensely appealing. Compared to Kevin Crossley-Holland’s The Penguin Book of Norse Myths and Roger Lancelyn Green’s Myths of the Norsemen, this book doesn’t add anything new, which is why seasoned scholars may find it of less interest. But what Neil’s Norse Mythology does offer is a simple, honest and heartfelt retelling of these treasured stories for a new generation of readers to cherish. Who knows, perhaps it will even inspire other curious seven-year-olds to pick up the storytelling baton. Now wouldn’t that be a gift more precious than Idunn’s immortal apples?